It was a busy day at work, and I worked myself an appetite. I was debating with myself as I do every day, and asked myself, “where should I go for lunch today?” There are a lot of restaurants close to my workplace, so this really becomes a huge problem at times. I decided to visit the Gospel Cafe; after all, I haven’t dropped by in a few months. The Gospel Cafe is located in a strip mall at the corner of Dixie Road and Eglinton Avenue in Mississauga, a suburb of Toronto. They’ve been open for about a year now, and I was one of their first customers and became a regular. The restaurant specializes in Caribbean cuisine and offers a little taste of Salvadoran cuisine as well. You may be wondering, why such the eclectic mix? Colin, the chef and co-owner, is of Jamaican descent, while his wife Lorena, who is manager and co-owner, is Salvadoran. The concept of their restaurant is quite fascinating. 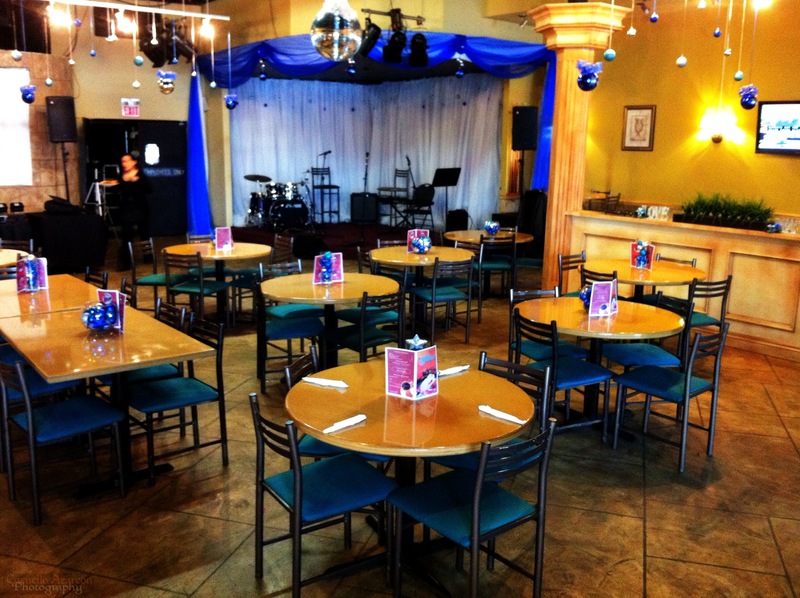 It’s called The Gospel Cafe because they play Gospel music in their restaurant, and it also doubles as a concert venue for Gospel artists. They want to provide a family-friendly atmosphere for various churches to hold their events, as such, they are not licensed to serve alcohol. The food is simple, yet elegant. It tastes like it was created by a chef, which it is, but also feels like a home-cooked meal. It’s comfort food raised to another level. I’ve tried most of the menu, from the pupusas and the tamales, to the curry goat, jerk chicken, ox tail, to name a few. The menu items are fairly priced, and they offer specials for the lunch crowd. For only $5.99 + taxes, you get a choice of jerk chicken, stewed chicken, or fried chicken, and includes rice & peas, slaw, and a can of pop. Today, I chose to go with the ackee & salt fish, festivals, and fried chicken. 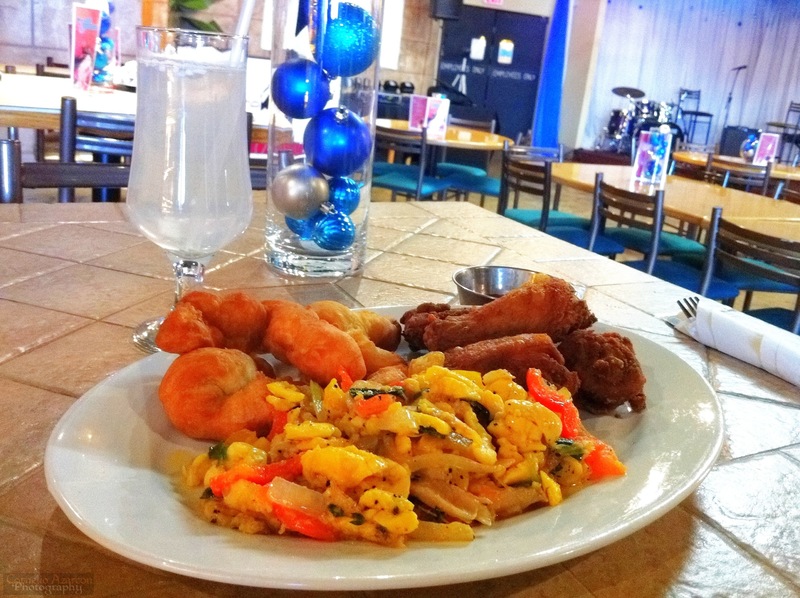 Ackee & salt fish has become one of my favorite dishes, and I haven’t had it in a while. Festivals are deep-fried dough that tastes like a donut, without the sprinkles. The fried chicken was crispy, but not coated in flour. It was a great meal, and definitely nourished my body. Be sure to check them out, and if you do, tell them you heard it from me.